Upgrade and make the most of your AC router with the TP-Link Archer T2U USB Wireless Adapter - AC600, Dual Band, and enjoy seamless streaming and super-fast online gaming. To connect, you simply plug it into your computer using the USB 2.0 connector. With up to 600 Mbps transfer speeds and Windows compatibility, you'll be able to improve the wireless connectivity of a variety of PCs. The impressive data speeds make it the ideal upgrade to the built-in wireless card of your laptop, and can result in less buffering and interrupted connections when streaming media. 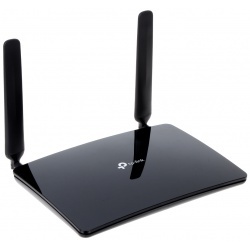 It's compatible with dual band wireless too, so you can connect to either band emitted from your router. 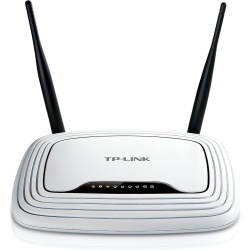 For wireless internet in your home, look no further than the practical TP-Link TL-WR841N Wireless Cable Router. Offering support for standard WiFi, the TP-Link TL-WR841N Wireless Cable Router is perfect for homes with low internet usage. N-rated routers are compatible with older PCs and laptops, so that you don't need to upgrade your laptop if it isn't AC compatible. 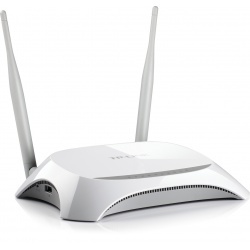 Including Ethernet ports for computers and smart TVs that might need a cabled connection, the TP-Link TL-WR841N Router also supports WiFi devicesover a wide range, so that you can always get online. With pre-configured security and parental controls, the TL-WR841N Router has firewall protections that keep your information secure. 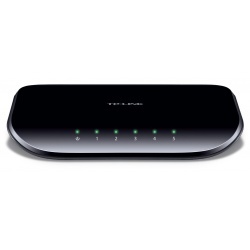 The TP-Link TL-MR3420 wireless router gives you instant access to a high-speed 3G/3.75G internet connection. 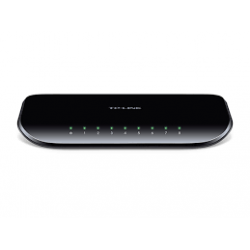 Featuring a 4-port switch, this wireless-N router supports transfer rates as fast as 300 Mbps and works well with UMTS/HSPA/EVDO USB modems, meaning you can establish a WiFi hotspot wherever 3G coverage is available. Whether you're camping, on the train or at a construction site, the TL-MR3420 has all your wireless networking needs covered. 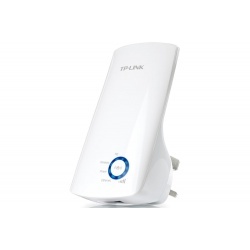 The TP-Link TL-WA801ND WiFi Access Point offers a smooth WiFi experience for a number of devices around your home. Use this wireless range extender to set up or expand your currect network, with data transmission speeds of up to 300 Mbps. Connect with multiple devices at the same time and enjoy reliable internet access on your phone, printer or network-attached storage devices. Offering up to 30 metres of power, the TL-WA801-ND is perfect for expanding your existing network into previously unreached areas of your home. With a great Plug and Play design, there's no configuration process needed – all you need do is plug the adapters into your power sockets to establish a solid, sophisticated network in no time at all. The TL-PA4010KIT AV600 has no problem sending multiple HD streams and even 3D movies to all the rooms in your house – a fantastic option to easily construct a home entertainment network. With this great networking solution there'll be no more redundant and hazardous wires running through your house. You get reliable, fast data transfer with the TL-PA4010KIT AV600 thanks to its advanced HomePlug AV technology. There's a 10/100Mbps Ethernet Port and the miniature design allows the powerline adapters to fit easily into any power outlet. Another great feature of the TL-PA4010KIT AV600 is that its modern, practical and sophisticated design includes a power saving mode that can cut down energy usage by up to 85% - much lower than other powerline adapters. The adapter handily changes from work mode to power-save mode when no data is coming in or going out over a period of time, depending on network and environmental factors. 2. Connect additional adapters to PCs/laptops/Internet TVs or other networked devices via an Ethernet cable or Wi-Fi - and you're done! *Recommended: Press the pair buttons for network security and data encryption. With advanced HomePlug AV technology, TL-WPA4220 provides you with stable, high-speed data transfer rates of up to 600Mbps on a line length of up to 300 meters. It is a great choice for a whole home solution to connect all network compatible devices--from computers, game consoles to set-top boxes for IPTV to printers and NAS hard drives. Automatically copy the wireless network name (SSID) and Password of your router at the push of a button. After pressing the button, you can place the powerline adapter anywhere and enjoy seamless networking across your entire home or office. One Touch Super Range Extension. 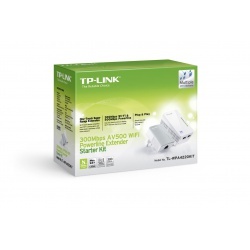 The TP-LINKTL-WPA4220KIT AV500 WiFi Powerline Adapter Kitenables you to extend your home internet connection across your rooms using your existing electrical circuitry. 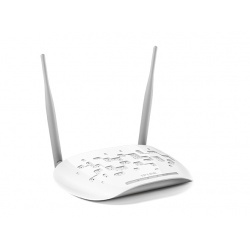 TheTL-WPA422-0is equipped with a Wi-Fi Clone Button which enables Super Range Extension, automatically copying the SSID and Password of your router. This helps to simplify your Wi-Fi to make way for seamless internet usage within your home network. Once you've pressed the button, simply place the powerline adapter wherever you need wired or wireless access. With wireless speeds of up to 300 Mbps, easily extend your WiFi network over the existing powerline to broadcast a wireless signal for all your WiFi enabled devices throughout your home or office. HomePlug AV standard enables the TP-LINKTLWPA-4220KIT WiFi Powerline Adapterto provide high speed data transmission over your home's existing electrical wiring on a line length of up to 300 meters. This makes it perfect for lag-free streaming of HD or 3D video, as well as online gaming. It's a superb option to create an entire home solution for all network compatible devices from computers and game consoles to set-top boxes for IPTV, printers and NAS hard drives. 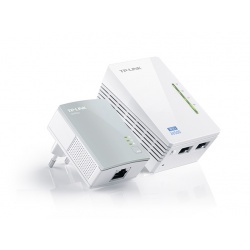 The TP-LINKTLWP-A4220-KIT Powerline Adapterboasts a hassle-free Powerline network setup procedure. Enjoy a fantastic internet connection within minutes with its plug-and-play functionality. Use the adapters' “Pair” buttons to secure or manage multiple powerline adapters across your house's powerline network. Plug one Internet-connected adapter into a nearby power outlet, then connect further adapters to PCs, laptops, smart TVs or other networked devices using an Ethernet cable or Wi-Fi - and you're on your way. The device also offers a Mains Filter for better Powerline communication performance. 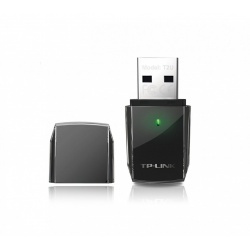 Choose the TP-LINKTL-WPA4220KIT AV500 Wireless Powerline Adapterfor a powerful and convenient way to expand your home internet network. Take full advantage of your 4G LTE network with the TL-MR6400, which can achieve download speeds of up to 150 Mbps. The TL-MR6400 allows you to share your 4G LTE network with multiple Wi-Fi devices so you can enjoy uninterrupted HD movies, rapid file downloads, and video chats that won't freeze up.